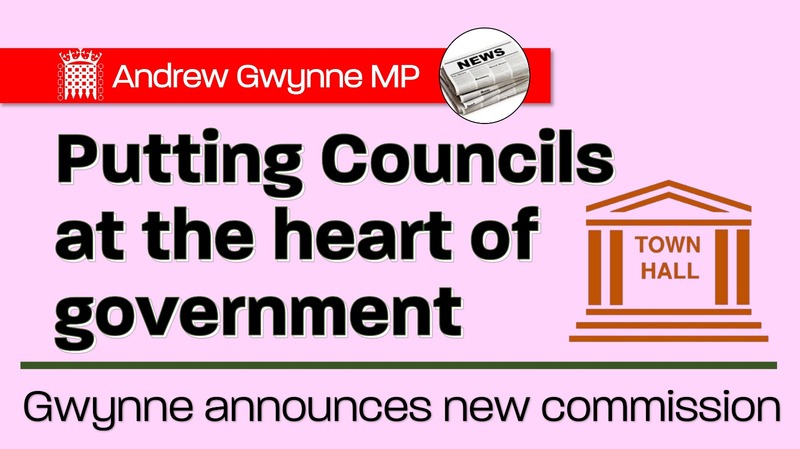 Andrew Gwynne, Labour’s Shadow Communities and Local Government Secretary, has announced that under a future Labour Government, local councillors have a direct voice in central government’s decision making. Andrew Gwynne also said, “to fix our broken political system leaves people feeling disconnected and disillusioned by Westminster politics, we need to put local people and communities at the heart of decision making”. A Local Government commission, made up of council leaders or metro mayors from every region of the country from every local authority type and all major political parties, will be convened to meet monthly with the secretary of state and inform decision making. Chaired by the Secretary of State for Communities and Local Government, Secretaries of States from other departments will also attend these meetings, as 44 per cent of the commitments in Labour’s 2017 manifesto will fall either directly or indirectly on English local government to deliver. This comes as records of ministerial meetings have revealed that during the last three months for which his ministerial meetings are published, James Brokenshire meet with just one council, despite councils warning they are reaching a “tipping point”. The cross-party Local Government Association has stated that councils are facing a funding gap of £3.2 billion just to keep services at the level they are in 2019/20. “When Labour wins power we will create a Local Government Commission, made up of Councillors from every region, every authority type and every major political party. “To fix our broken political system which leaves people feeling disconnected and disillusioned by Westminster politics, we need to put local people and communities at the heart of decision making. “I’ll invite different Secretaries of State to each meeting and ensure that councillors can influence every decision that effects local councils. We need their guidance, your support and your advice, in ensuring that from Whitehall to our town halls we are being as effective as possible in helping our hardworking communities. “Positions will be appointed in conjunction with different political group office at the LGA and I guarantee we’ll meet monthly. Gone will be the days when we have a Secretary of State for Local Government that doesn’t want to know Local Government. “Local Government is at the heart of local communities. As I said you look after the most vulnerable in society and make local spaces greener, cleaner and safer. However over the last nine years we have seen unprecedented levels of cuts to our Local Councils. “The fact is between 2010 and 2020, councils will have lost 60p out of every £1 that the Government provides our communities for services. Nine of the ten most deprived councils in the country have seen cuts of almost three times the national average. “A Labour Government will stand up for local communities. A Labour Government will support working people by investing in new affordable homes to rent and buy. But it’s not just the quantity of homes but the quality of them too. We need to ensure that all homes are fit for habitation and private renters have confidence that the market and the Government is on their side. “A Labour Government will join up services from home to hospital with a properly integrated health and social care service. And we’ll deliver parity of esteem for mental health provision. As a councillor in Birkenhead I fully support this initiative. We need to listen to the needs of our local communities giving the people a voice in shaping thier future.